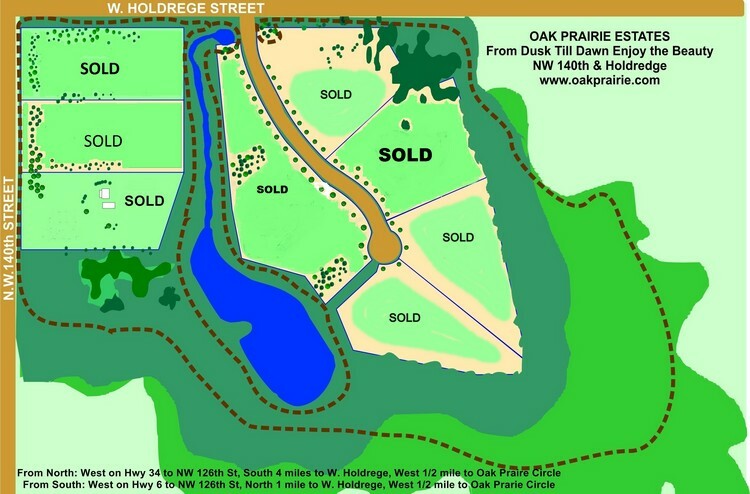 Oak Prairie has nine, 3-acre lots surrounding a common area with a flowing stream and a lake designed to blend into the existing natural prairie. Walkout basements will be available for all homes. Each acreage will have close access to walking trails around and through the creek and prairies. Oak Prairie Development has been designed in a country setting with protective covenants to maintain it's urban refinement. Over 300 landscaped trees are planted for privacy and as a windbreak for homes. Oak Prairie Development has a beautiful view of the Lincoln skyline. This development is in the Milford School District. Oak Prairie Development has easy access to I-80 and is only 15 minutes from downtown Lincoln and the Lincoln Airport. From Lincoln, go West on I-80 to the Pleasantdale/Crete exit. 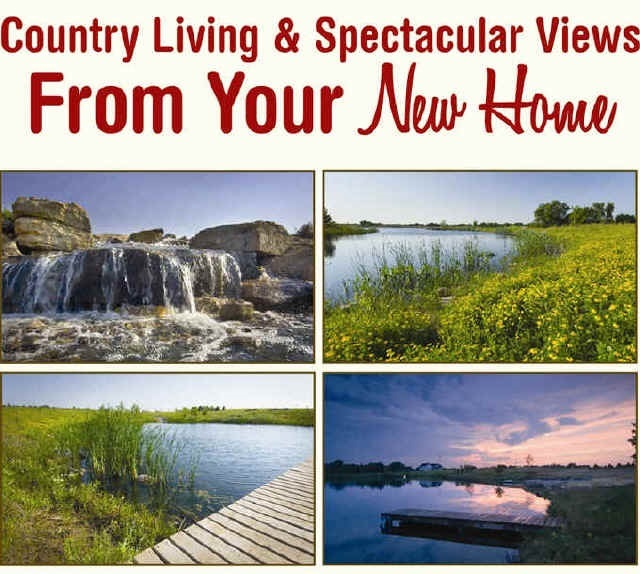 Go North 1/2 mile to Holdrege, then go East 1 mile to 140th St.
Brochure-Please click here to view or print.